THERE is a lot of excitement over FA of Malaysia’s (FAM) elections on March 25. Fans expect sweeping changes and exciting times, but veteran journalists are sceptical. 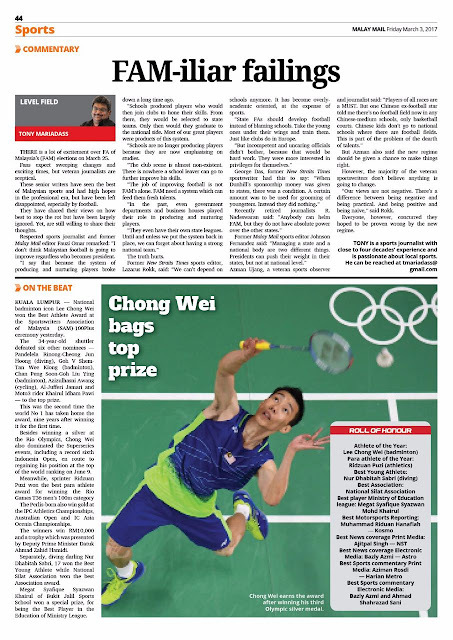 These senior writers have seen the best of Malaysian sports and had high hopes in the professional era, but have been left disappointed, especially by football. They have shared their views on how best to stop the rot but have been largely ignored. Yet, are still willing to share their thoughts. Respected sports journalist and former Malay Mail editor Fauzi Omar remarked: “I don’t think Malaysian football is going to improve regardless who becomes president. “I say that because the system of producing and nurturing players broke down a long time ago. “Schools produced players who would then join clubs to hone their skills. From there, they would be selected to state teams. Only then would they graduate to the national side. Most of our great players were products of this system. “Schools are no longer producing players because they are now emphasising on studies. “The club scene is almost non-existent. There is nowhere a school leaver can go to further improve his skills. “The job of improving football is not FAM’s alone. FAM need a system which can feed them fresh talents. “In the past, even government departments and business houses played their role in producing and nurturing players. 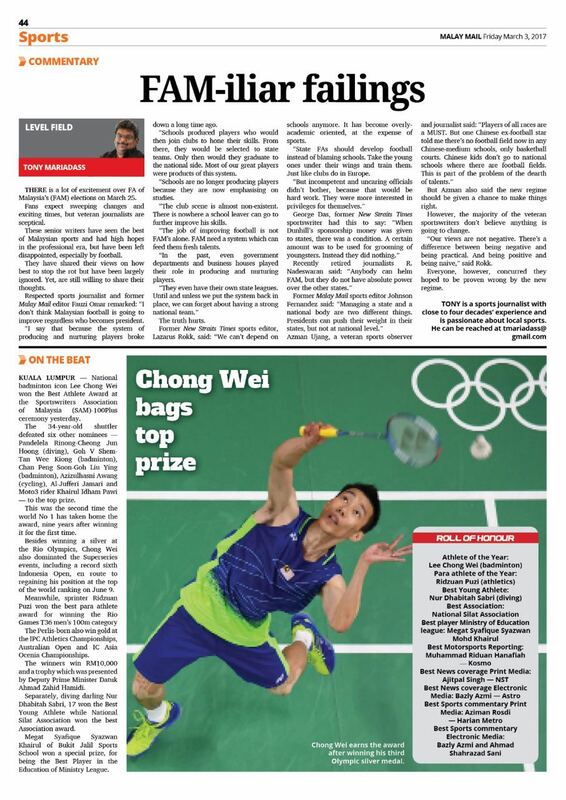 Former New Straits Times sports editor, Lazarus Rokk, said: “We can’t depend on schools anymore. It has become overly-academic oriented, at the expense of sports. “State FAs should develop football instead of blaming schools. Take the young ones under their wings and train them. Just like clubs do in Europe. But Azman also said the new regime should be given a chance to make things right. However, the majority of the veteran sportswriters don’t believe anything is going to change. “Our views are not negative. There’s a difference between being negative and being practical. And being positive and being naive,” said Rokk. Everyone, however, concurred they hoped to be proven wrong by the new regime.